Venica international villa in District 9 is a luxurious place and an ideal residence for upper families. The villas are designed in a classic style with open space, garden courtyard, and large window-panes. Venica Villa is the classiest villa in the East area. 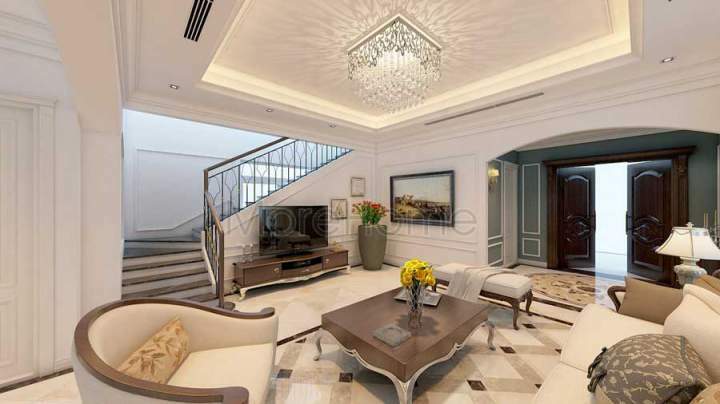 This special project is dedicated to the super-rich with a luxurious life that ten thousand people dream of. Venica Khang Dien will bring a new and exciting living space in the center of the land as a green oasis surrounded by cool canals in four seasons. Venica project is not only luxurious and classy with classic style but also designed with the system of the high-end inside facilities. – Located close to Ho Chi Minh City – Long Thanh – Dau Giay highway. – Located near the intersection of Do Xuan Hop Street and Nguyen Duy Trinh Street. – Adjacent to the path to Ho Chi Minh City – Long Thanh – Dau Giay highway. – It is convenient to move to Ho Chi Minh City center such as District 2, District 7, and go to Dong Nai, Binh Duong, Vung Tau. The river around the villa is more than 1,000 meters long, adjacent to the villas, parks and utility buildings there. The main road is very spacious with a width of 20 meters connecting to the internal roads. The gate and bridge leading to Venica villa are very large and imposing that is the most impressive highlights right from the start. The neoclassical architecture combines with the Mediterranean and the elegant, soft but luxurious, and noble lines. Instead of the stiff fence, the villa is surrounded by soft fences of many trees that create the freshness, close to nature and increase green space for villas. Apart from choosing the favorable location, Venica in District 9 is also focused on investing in the facilities of international standards to bring a modern life and full advanced amenities for customers. 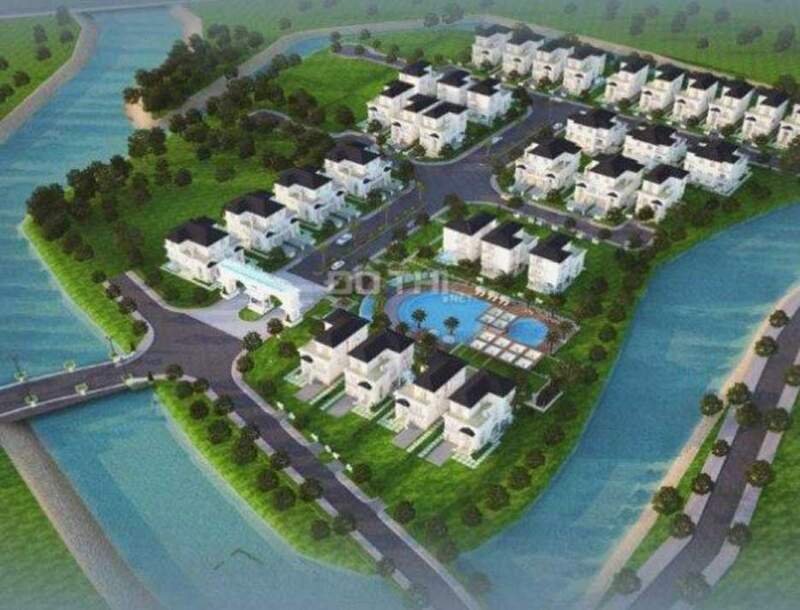 There are also the safe security system, swimming pool, modern gym, attractive outdoor BBQ area and riverside park – where people can take a walk or fish fishing to unwind after hard working days. The quality of project is always focused by investors and developers. Therefore, we are always meticulous and careful in choosing the experienced design consulting firms and construction units so that we are able to build a really ideal home for Venica villa owners. We are proud to bring you a classy residence and you can experience the perfect life and enjoy the value of life. The Venica Villa consisting of beautiful and romantic riverfront park system with shady trees combined with a riverside BBQ area will be ideal location to gather with your family in each evening. For young families, they can enjoy a relaxing space along with sweet music in the Bar – Cafe in the center of the project. In particular, at Venica, the canal system surrounds the project campus as a poetic oasis. The project is completely isolated from the outside, so it also absolutely guarantees security for residents. Residents living in the Venica Villa – International Villa will enjoy high-end facilities of relaxation, study, meetings, sports, swimming pool, spa… and also many outdoor activities such as children’s playground. With these utilities, what are you waiting for anything else without coming to the Venica villa to fully enjoy life today and the next days?